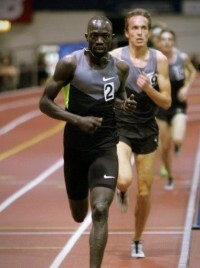 At 13:07.00, Lopez Lomong‘s 5000m run on Friday night became the new American Indoor Record. 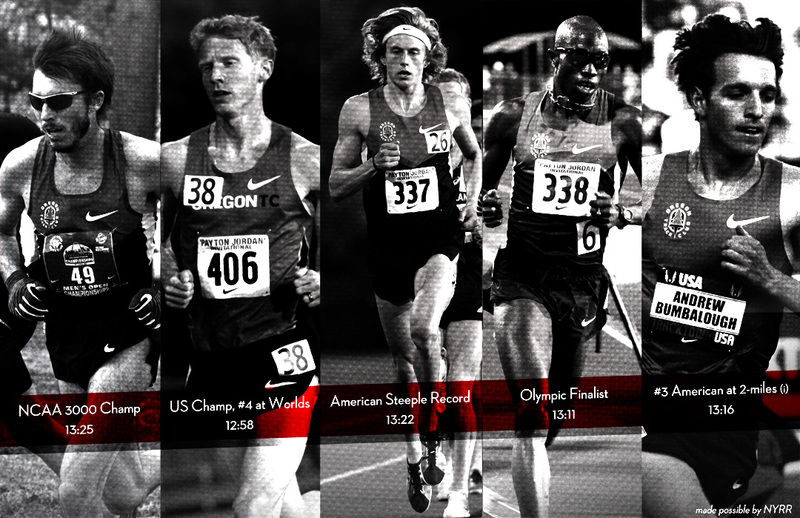 It makes him the #11 performer in world history, and is the fastest performance ever run indoors on US soil. Also, he jumps two spots among Americans, regardless of venue, as the 8th-fastest man, indoors or out. For the Jerry Schumacher-coached crew, the race started off hot with perfect pacing from Travis Mahoney of the local NJ*NYTC, followed by Dan Huling who towed the line of teammates from 2000m out beyond 3 “K.” After the first ten laps started right on 13:15 pace — their intended target and the World Championships “A” standard — Huling began to gradually squeeze down on the throttle. The slight quickening made for a painful grind the last two kilometers… but also made Lomong’s record possible, as he hit the 4-kilometer mark at 10:32.64 — checkpoint for a 13:10. The final kilometer featured three laps of under 31-seconds, and Lomong had the record. 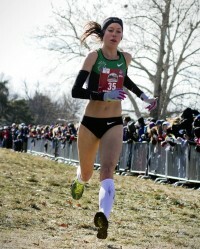 Despite beginning Friday as the national leader in the 800 for 2013, this record was earned on the back of his strength, as he held on for a final lap of 30.58, according to LetsRun.com. 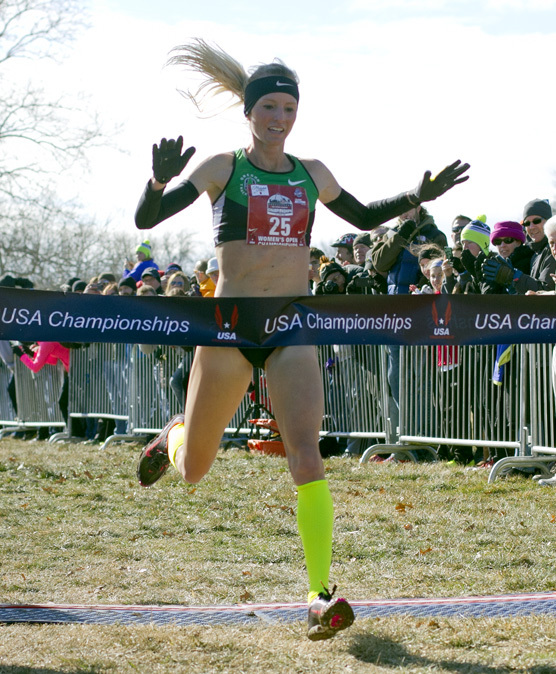 As a running fan posted to Twitter on Saturday, the only inevitabilities in life seem to be death, taxes, and Shalane Flanagan winning the US Cross Country Championships. 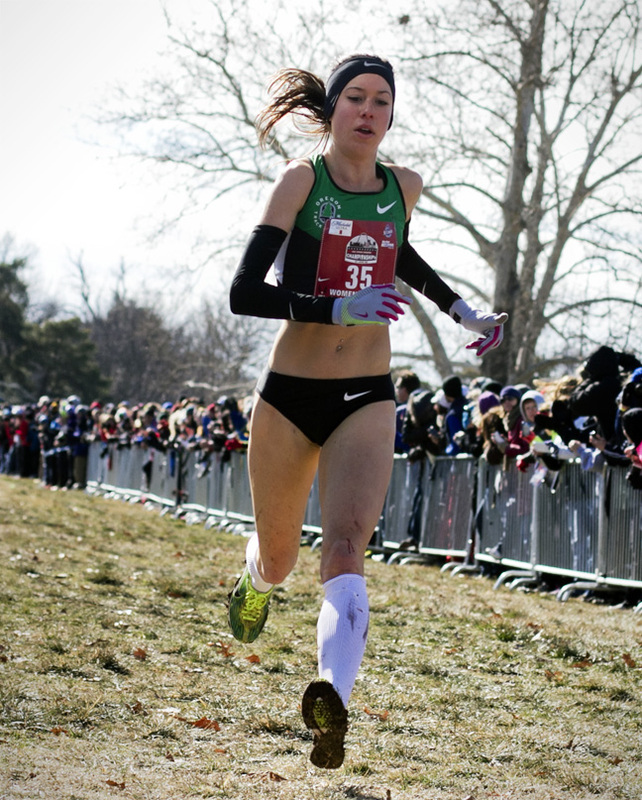 In the St. Louis-hosted 2013 edition of the race, Flanagan felt some pressure from Kim Conley, but the Jerry Schumacher-coached athlete still managed to open a sizeable margin of victory to capture her sixth US Cross Country title. 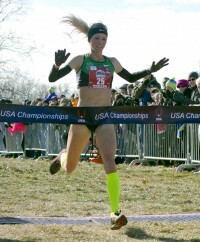 Meanwhile, with the top six finishers in the men’s and women’s races earning berths to represent America at the World Championships, every entrant from the Schumacher training group placed in the top four of their respective races.